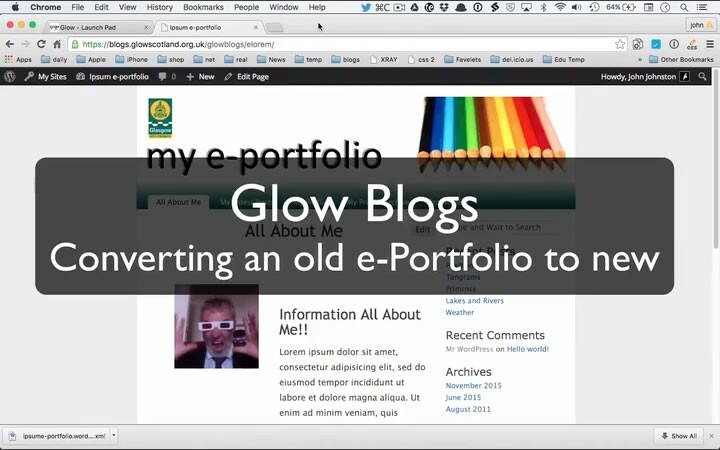 If you have an existing e-portfolio you can easily convert it to the new system. 1. Activate the e-portfolio plugin. Dashboard->Plugins, Click Activate under the e-portfolio plugin listing. 2. Add Profile tags to any existing posts. 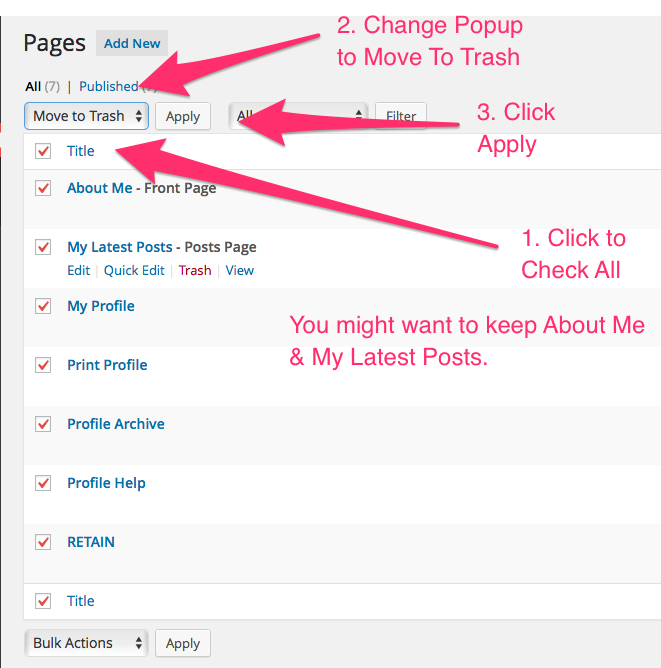 You can bulk add Profile Tags to sets of posts on the All Posts page on your dashboard, more help. 3. Optionally change your theme. Dashboard -> Themes more help on the Themes page . We will retired the e-portfolio themes in November 2015. Blogs that already use those themes will continue to do so. The Themes will not be in the Theme picker to apply to blogs. We would advise changing themes. The current profile themes will be removed from the system completely at some point in the future. At that point blogs still using it will be set to the default them for the system. The new e-Portfolios are not dependent on themes. Pupils could choose their own them and customise in any way they like. This would not affect the production of the profiles. Add the Profiles widget to the blog sidebar. If you wish links to published profiles to appear on the blogs sidebar add the widget. More help on Widgets. This Screencast covers the above and bulk adding ‘profile tags’ to the appropriate posts. The original e-Portfolio themes had several pages used to produce the profile. To keep things tidy you should delete these. Pages can be deleted in the Dashboard: All Pages section. Check the boxes on the pages you want to remove and then change the Bulk Actions Popup to Move To Trash. Click Apply. If you delete all of the pages the front page of the e-Portfolio will show the latest posts.